High five! I love doing what I want. And every time I think about that phrase ("I do what I want"), it's in Cartman's voice.... Can't wait to see that little teacup finished! Great fabric pulls!! Those fabric bowls are so good to make - I have never seen one I didn't like. Those bowls are really cute! Those fabric baskets are darling. I'll be right over for tea from one of those little cups! Definitely going to be awesome! I know what you mean - I have 1 of the 17 little crosses done and am starting the paper pieced diamonds. 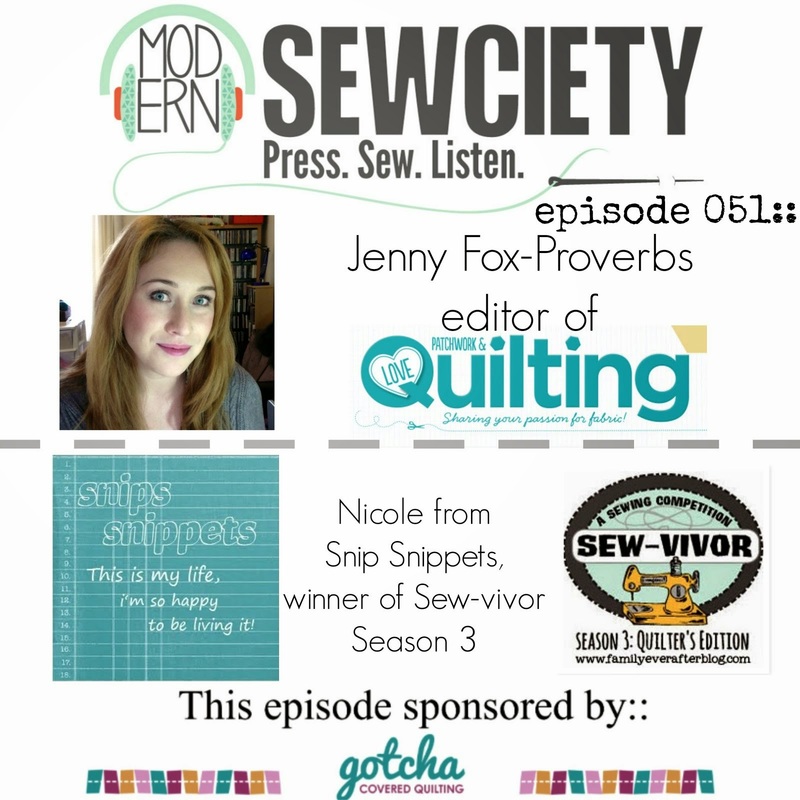 I love the Penny Sampler project but it is really tough to keep up with everything else as well! 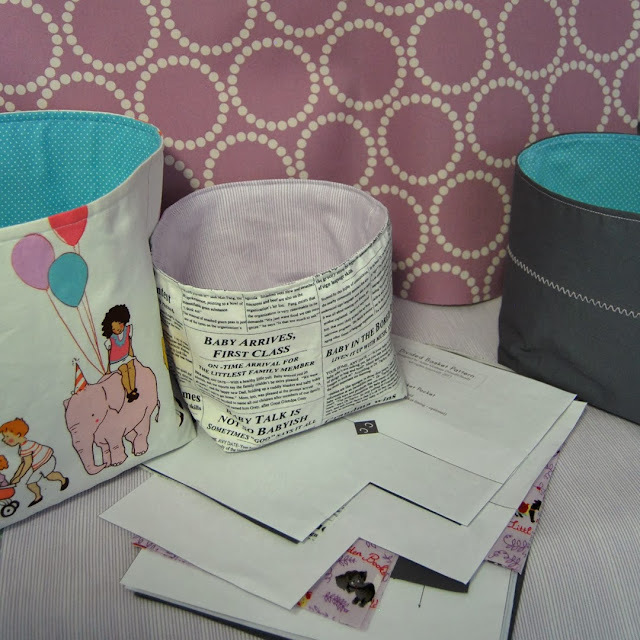 The fabric baskets are a great plan for a shower gift! Love that baby newsprint! Can't wait to see your sweet tea cup! So fun! Do what you want girl! Love those baskets! 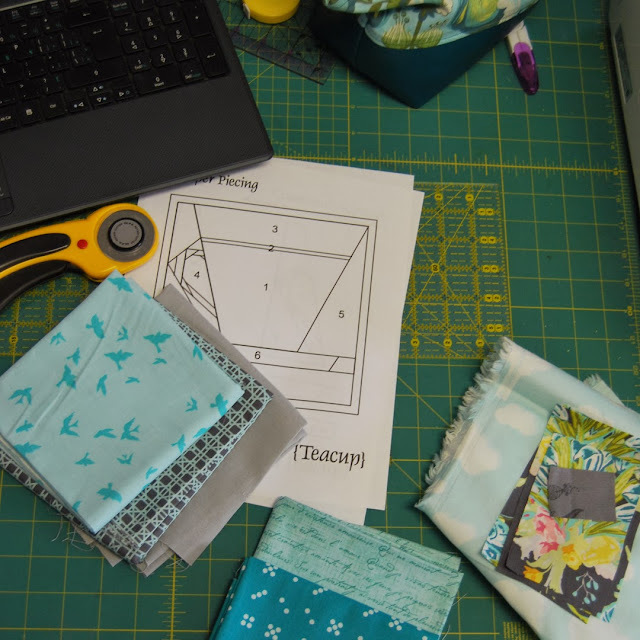 I have a few of them on my to-make list....and I am getting behind on my penny sampler again, but I agree with the paper piecing excitement! I kind of can't wait to make my teacups! pretty fabrics for your Penny Sampler! The baskets are really cute too- I have no doubt that you'll get them done! There needs to be an Instagram hashtag about "not what I should be sewing right now." I'd try and make it happen except I can't figure out a way to compress it! 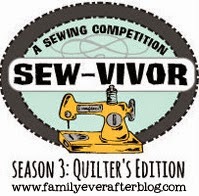 I need to "cheat" and sew what I'm not supposed to sew, all the time. great fabrics all the way around! I adore that baby text print - what is it? I cant get enough text prints lately. the penny sampler bits are so, so pretty! it's going to look great. i'm thinking of joining the penny patch QAL - but I need to be sewing other stuff for Christmas instead! so maybe i'll be sewing what I shouldn't before long, too. usually that happens when i'm supposed to be packing for a trip. lol. I love the fabric baskets!!! And since I am so late making it round here I have seen the teacups finished on IG and they are even cuter in fabric than on paper!!! Yay for doing what you want; you will probably accomplish more that way!!! Is it weird that I'm super excited for YOUR penny sampler? I love watching it come together! :D You picked the best fabrics! Cute baskets. I too did not get the quilt done for my nieces baby shower but was able to whip up some quicker handmade items. If you are interest, the self binding flannel receiving blanket by Missouri Quilt company on u-tube was fun and as easy as it looks.